Last night’s Thursday Night Football contest saw the Saints head to Dallas to take on the Cowboys. 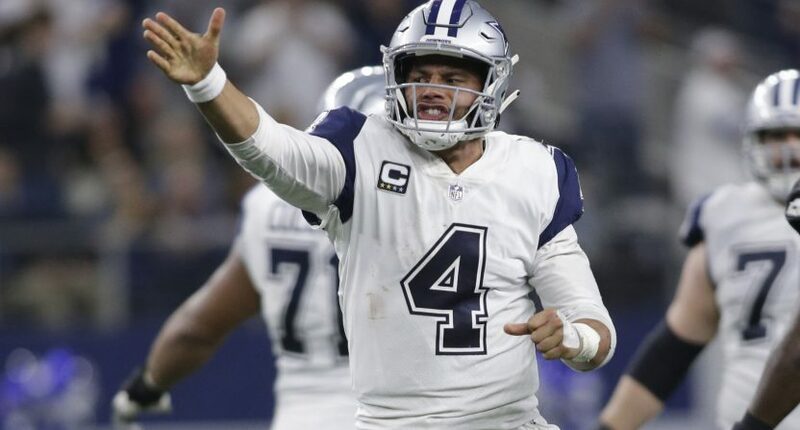 The game itself was entertaining, though in a more traditional NFL fashion than the Chiefs-Rams Monday night game from last week, as Dallas held off New Orleans 13-10 while demonstrating that defense isn’t quite yet dead. Huge Thursday Night Football TV numbers last night: 14.6 overnight translates to the top overnight rating in "Thursday Night Football" history. 14.6 is a big number indeed, easily beating the impressive Packers-Seahawks overnight rating from a few weeks ago. It’s another sign that Fox’s choice to spend a ton of money on the Thursday Night Football package may indeed have been the right call. Fox only has two more TNF games remaining this season, as Saturday games replace Thursday night games after Week 15. And next week’s Jaguars-Titans matchup probably doesn’t have the same kind of national pull that Saints-Cowboys had. But it’s still a strong finish for Fox, and the NFL itself has to be pleased as well. Except for the part where a massive national audience tuned in and saw some fairly incompetent officiating throughout the night, to the point that even Mike Pereira had to admit how bad it was. Football still has problems, including poor officiating. But that doesn’t mean the interest isn’t there; that 14.6 number would have easily beaten every game of the 2018 World Series and the 2018 NBA Finals, all for a 13-10 regular season defensive struggle. That’s a big win for everyone involved, aside from the Saints.